The N1 series muffler has become a staple of the import tuning industry. The N1 was the first of its kind to incorporate the classic angled muffler design that has became so familiar with today's street cars. Born from Apexi's involvement in the grueling N1 endurance series, the N1 exhaust system pairs a straight through design racing muffler with free flowing, mandrel bent piping (60.5mm N/A, 80mm for turbo applications). The combination has resulted in dyno proven horsepower and countless satisfied customers world wide. Designed with track use in mind, durability is of utmost importance. The polished SUS 304 stainless steel canister features robotic TIG welding for an immaculate finish and years of reliable performance. The mild steel piping is treated with our special high temperature titanium particle coating. The N1 is truly THE benchmark in which others strive to duplicate. The Exhaust System offered on this page are designed to specifically fit a Honda Civic produced during the following model years: 2001, 2002, 2003, 2004, 2005 or 01, 02, 03, 04, 05. Please also note any specific model notes on the product title at the top of the page. While it may fit other vehicles, Please try the vehicle search on the center of our main page. or email us if you have any questions. Every customer can leave a review about our service and the product that was purchased. In order to leave your review for the purchased product, please log into MY ACCOUNT after you receive your order. We encourage all of our customers to take the time to share their experiences with our website with everyone. It is the champion and amazing design! I strongly recommend you to buy this if you have Toyota Prius from 2009-2012. Highly recommend! Sounds awesome and easy installing. The Apexi catback exhaust fit perfect and sound awesome. Easy transaction. Thank Tunersdepot! Nice Apexi exhaust. Shipping was fast and secure. 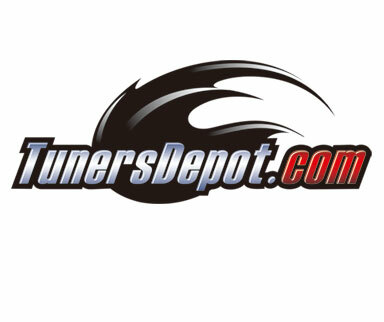 Tuners Depot handle my order very professional!! Copyright © 2019 Tuners Depot Inc. All rights reserved.